Cammi Lee Events: This Party's a Grand Slam! Sunday was the kick-off for the MLB season... and I seriously can't contain my excitement! 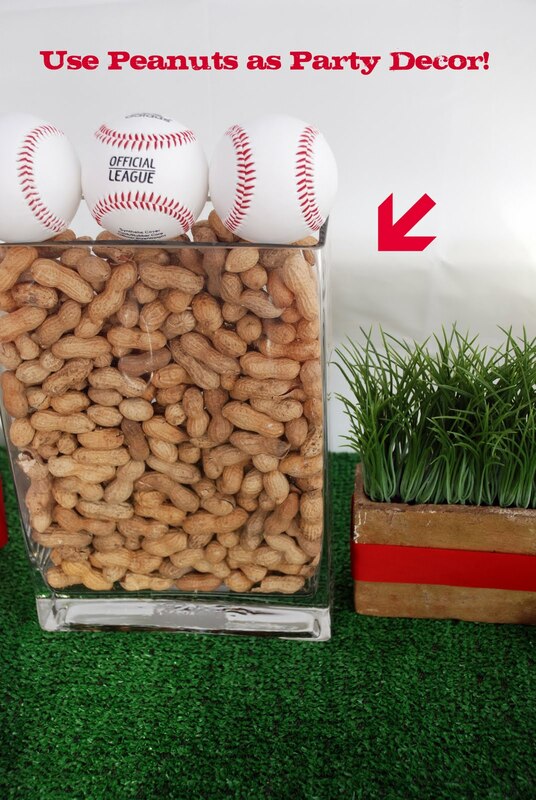 I'm a HUGE baseball fan... like HUGE! I love my Minnesota Twins! The boy and I are going to the Twins home opener (they started their season off on the road for 7-games... lame!) on Monday! It's an exciting and historical year for the Twins as they unveil their new ballpark for this game - and it's outdoors! I've never been to an outdoor stadium, so you can just imagine my excitement (although, I'm guessing most of you living in warm states are saying "an outdoor stadium... in Minnesota?!?! I know. I've said that, too!). Anyway, with us recently buying a house (and might I add, closing in 2 weeks! ), I thought it'd be SOOOO much fun to get a big group of friends together during the summer at our new place to watch a game. We'll grill, drink and enjoy the game; hey, we could even go to the game and just pre-party at our new place. 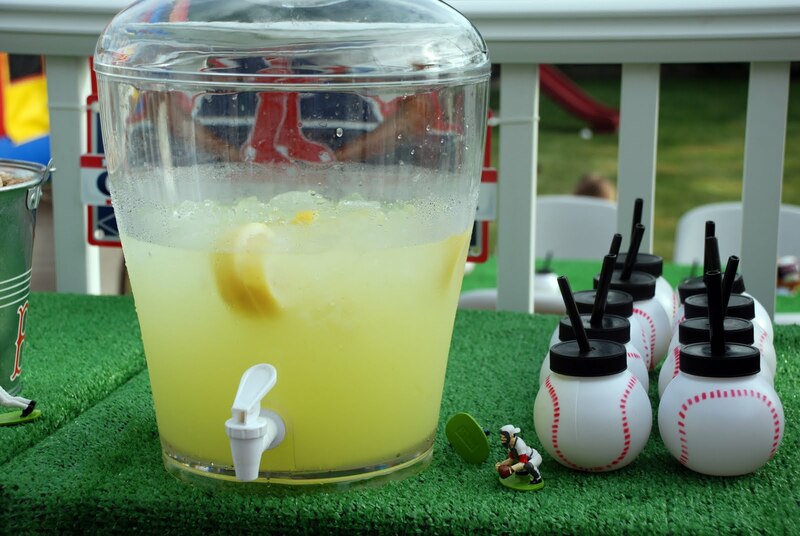 I think either idea works well because it lets me plan a party and enjoy one of my favorite sports! 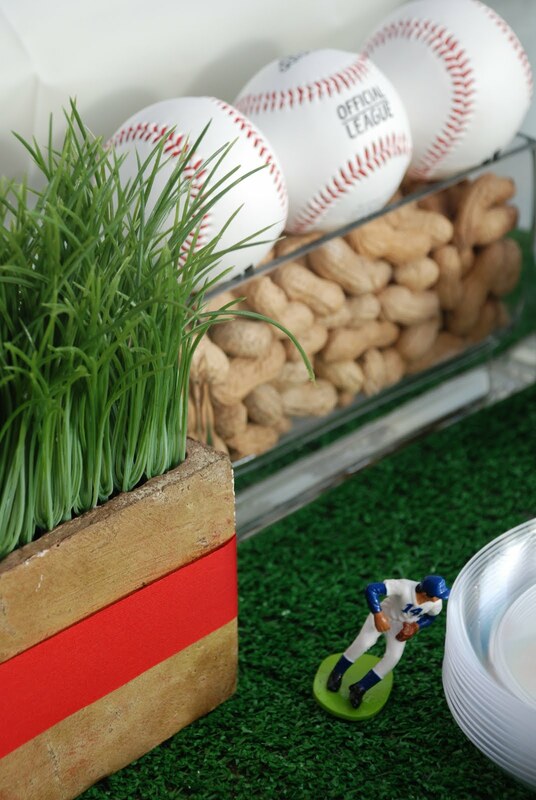 Here are the adorable favors she put together for her guests. How cute! 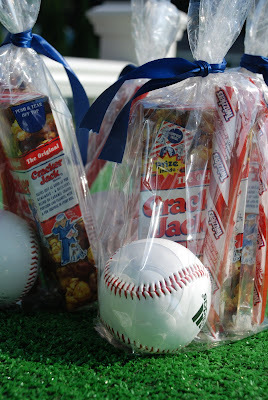 It included a baseball, Cracker Jacks and Twizzlers. Love it! I love the idea of fresh lemonade in those ADORABLE baseball sip cups! Way too cute! Decorating with peanuts? Yes, please!! Delicious looking cupcakes that look like baseballs? Love it again! love it!!! 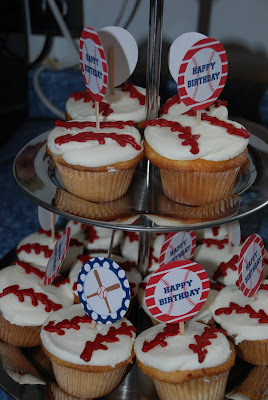 My son is asking for a baseball party...too cute!!!! oh I looove the idea of using the peanuts!!! cute, cute, cute! Adorable site, too! Thanks for posting blog luv at mine, glad to find yours! 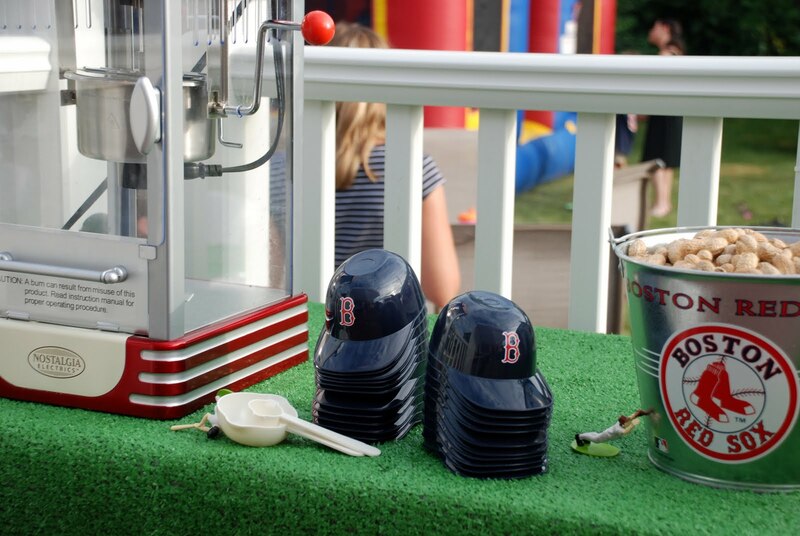 Thanks for featuring my Red Sox party! It was So fun!